EPA 25 MPG Hwy/18 MPG City! Ford Certified. XLT trim, Caribou Metallic exterior and Medium Earth Gray interior. Bluetooth, CD Player, Smart Device Integration, iPod/MP3 Input, ENGINE: 2.7L V6 ECOBOOST, Alloy Wheels, Turbo. SEE MORE! iPod/MP3 Input, Bluetooth, CD Player, Aluminum Wheels, Smart Device Integration MP3 Player, Privacy Glass, Keyless Entry, Child Safety Locks, Steering Wheel Controls. 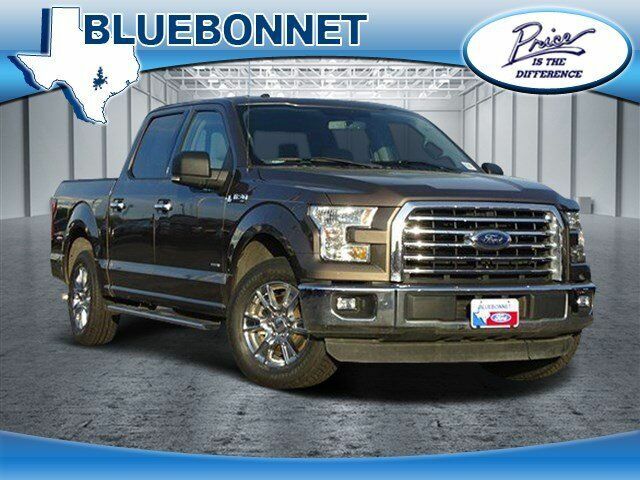 ENGINE: 2.7L V6 ECOBOOST auto start/stop technology system, 3.31 Axle Ratio, GVWR: 6,250 lbs Payload Package. Ford XLT with Caribou Metallic exterior and Medium Earth Gray interior features a V6 Cylinder Engine with 282 HP at 6250 RPM*. Edmunds.com explains "At the end of the day, the 2016 Ford F-150 is simply an all-around strong performer, with a good balance of comfort, utility and performance.". Great Gas Mileage: 25 MPG Hwy.